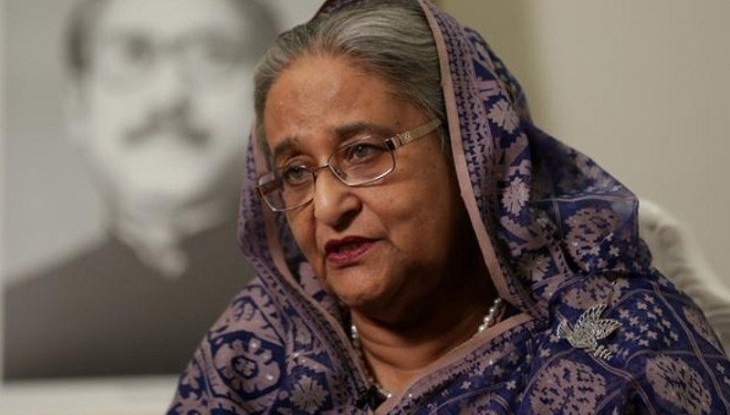 Quoting BNP senior joint secretary general Ruhul Kabir Rizvi UNB said, “Prime Minister Sheikh Hasina yesterday (Tuesday) said she has decided to retire from politics and spend the rest of her life at her ancestral village in Tungipara. I would like to tell the Prime Minister that it’s good news.” Speaking at a press conference at BNP’s Nayapaltan central office, he further said, “People have started counting that desired day and moment. When will the good news come? We want to know that date.” On Tuesday, Prime Minister Sheikh Hasina said she would go back to her ancestral village of Tungipara in Gopalganj to spend her retired life there. “I’ll go to my own village to live there when I’ll go on retirement. It’s my decision,” she said after enjoying a cultural programme at the Ansar and VDP Academy in Shafipur under Gazipur district. BNP on Wednesday said it is good news that Prime Minister Sheikh Hasina has planned to go on retirement, saying that people are waiting “for that day”. Rizvi recalled that Sheikh Hasina declared in 1996 that she would retire from politics when she would turn 57. “You celebrated your 72nd birth anniversary last year, and your 73rd birth anniversary will be celebrated eight months later. People want to ask how many years later you will turn 57.” He urged the Prime Minister to implement her retirement decision swiftly and take steps for the restoration of democracy and holding a fair election under a non-party neutral government. The BNP leader also called upon Sheikh Hasina to take some good steps, including releasing Khaleda Zia from jail, before going on retirement. “If you really want to go on retirement, free the country’s people and democracy, and save yourself from people’s anger and condemnation. Don’t stay in power by force…enough is enough,” he said.